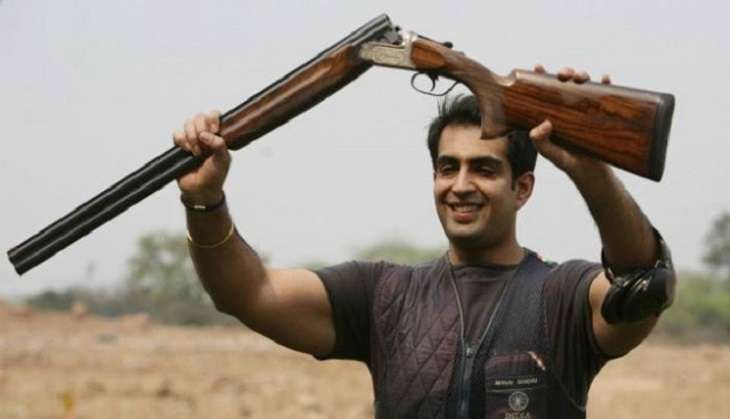 India's campaign in the men's trap shooting event has come to an end as both Manavjit Singh Sandhu and Kynan Chenai have failed to qualify for the final. In a qualifying event that took place over two days, Manavjit Singh Sandhu and Kynan Chenai finished 16th and 19th respectively. Manavjit started off well and at one point was in eight position but a final score of 115 was not good enough. Kynan finished with 114 points. Only the top six shooters made the semi-final. This was Manavjit's fourth Olympics. While the first leg of qualifying on Sunday had 33 shooters firing 75 shots over three series, the second round had them taking 50 shots over two series. Each series comprises 25 shots. The first leg of qualifying on Sunday, 7 August saw 33 shooters, firing 75 shots in three series of 25 each. On Monday, when the athletes came back for round two of qualifying, they had 50 shots over two series. Here also each series comprised of 25 shots. Italian Giovanni Pellielo topped the two-day qualifications with a score of 122, followed by Brit Edward Ling (120). Croat Josip Glasnovic (120) ended third. Italy's Giovanni Pellielo may have topped the qualification but he was edged out for the gold medal by Josip Glasnović. Britain's Edward Ling snatched the bronze medal from Czech Republic's David Kostelecký.